1. The Mackinaw City Wind Project in 2001. 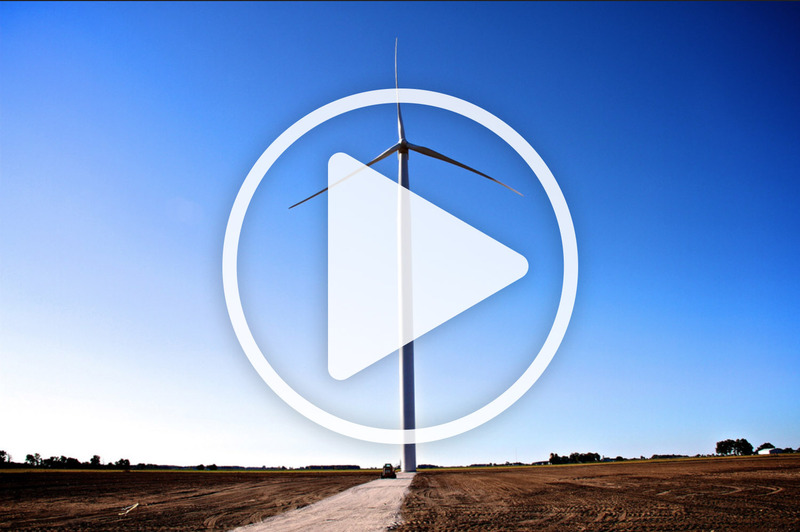 This is Michigan’s first commercial wind project, achieving the first permits, interconnection and leases. Bay Windpower sold the zero-emission electricity to Consumers Energy. The Green Power Pilot Program has been “sold out” since the Mackinaw City Wind Project achieved COD on Time, on Budget, December 3, 2001. 2. The Gratiot Wind Project in 2012. The 212 MW wind project – Michigan’s largest – has won several national awards for Community engagement. Vander Veen worked with the Gratiot Community, a wide range of stakeholders and Invenergy to earn unanimous approvals for the 133 GE 1.6 MW wind turbines. The Gratiot Wind Project produces enough power for 55,000 homes. The zero-emissions power was sold to DTE Energy for 20 years at a fixed price. The Community is receiving significant lease and property tax payments, helping protect 5th and 6th generation Family Farms for future generations. 3. The Eaton Rapids Solar Project, Michigan This 525kW solar project, developed with Helios Solar, is Michigan’s first solar project to serve a municipal electric company and the first in Michigan to be located on a closed landfill.